Maybe you’re stuck in traffic. You could be waiting at the doctor’s office or in line at the grocery store. Maybe you’re in-between rounds of golf. OR you’re watching the season finale of The Walking Dead. Whatever the case, if you’re going to trade, it’s going to be from your phone or tablet. Good news – that is totally an option. I can’t think of one broker I reviewed in the past two weeks who did not have a native app for Apple and Android. In fact, most brokers do not have a mobile responsive website. If you want to trade on a screen smaller than say, oh 10-12 inches, you’re going to have to grab their app. Who the top mobile brokers are. A series of commonly asked questions …and …our answers. Enough stalling, let’s get to it. What countries they accept customers from. Trading features and tools they offer. What banking options you can use. The min and max trades you can make. And more. Check them out here. Here are answers to regularly asked questions about mobile (binary options) trading. Newer devices that use Apple (iOS) and Android software. That includes the iPhone, iPad and devices from Samsung, HTC and Sony Ericsson. I have a BlackBerry / Windows device. What can I do? My best suggestion is to try the broker’s website. Most do not have a mobile-responsive site, but some do have separate mobile sites. It will be hit or miss if you can trade from them, though. Do I have to open a new account? If you already have an account just use that one. Most – if not all – brokers have terms that prohibit opening multiple accounts to prevent fraud. And even if they do allow it, from what I have seen from the forums it can create a lot of confusion. Are there any US-friendly mobile options? Yes – lots, in fact. Not every option is created equal. I recommend reading our reviews before you join anywhere. I read somewhere I can receive text / SMS messages. What does this mean? Chances are the broker offers to send you trading signals, or perhaps you came across a signal provider. The software sweeps charts of popular assets. Whenever it discovers a trend starting to develop, it notifies you of the trend and suggests what investment you should make. You can receive these notifications directly to your phone which would allow you to log in and make that trade, from anywhere in the world. The other great thing about this software is you don’t have to sit around all day to catch – maybe – 5-10 trends that may develop in any given day. There’s a lot more to signal providers than this, but this is the general idea as it applies to mobile trading. Will mobile trading cost me any money? I assume you mean in SMS, texting or minutes. The best way to know is to chat with your service provider or look at your bill. Most mobile plans come with unlimited minutes and text, so you should be fine. But that’s not a question I can give a definite answer for. No – at least not from the brokers I have reviewed. Brokers have no reason to charge you because they’ll make their money when you start trading. What can I do from my phone? You should have most – if not all – options that are available to web users available to you on your phone. Access to a range of global assets – including stocks, indices, forex and commodities. Features/options such as one touch, boundary, calls/puts, 60 seconds, etc. You’ll want to check out the app description for more details. Where can I find a binary option app? Every broker I have come across has links to their apps in the footer of their website. Binary Signals – A Free app from professional traders. 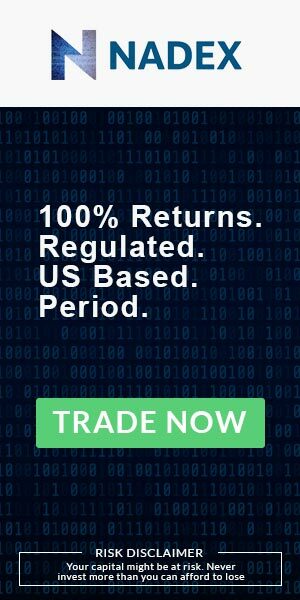 Binary Signals – Get alerts, winning trade explanations and win-rates as high as 70%. Just do a search and you’ll come up with all sorts of gems. Do you have a question we didn’t answer already? Send us a message.